I came across this brand after one of my favourite bloggers (Kelly in the City) did a post featuring them. Like many of the other brands I have featured, fashionABLE is committed to providing more sustainable conditions for workers and entrepreneurs in Africa, with their primary goal being to help women in volatile and impoverished conditions. By making a purchase, the money goes directly into creating jobs. This way is highly beneficial, as it means more money can go into helping women, instead of being divided and dispersed throughout different organizations. You can learn more about the brands initiatives here. 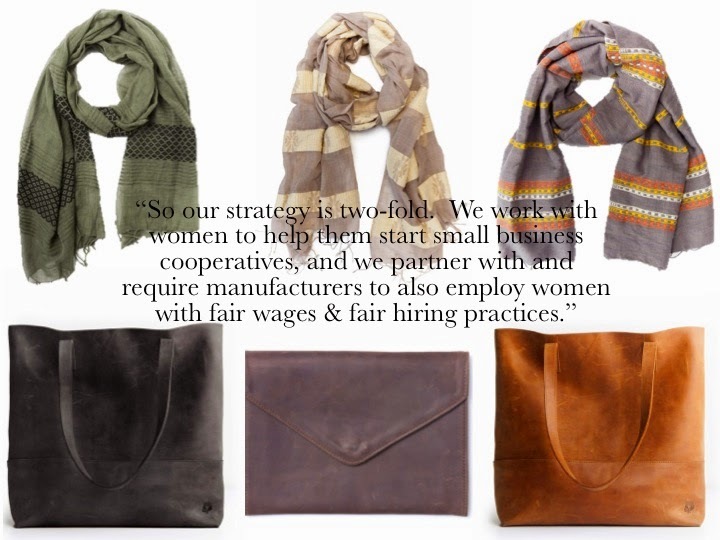 What I found most appealing about the brand (aside from the gorgeous totes and scarves, as pictured below), are the testimonials that are proudly displayed on their website, with individual women's stories who have benefited from the amazing work. You can read them here (and I honestly did go through and read some of the stories; they are heartwarming). You can shop all the products (and help the cause) here. Don't forget to check out the game day section of scarves in your schools colour. While I'm waiting for a navy and grey one (go Varsity Blues!) there's already a huge variety of colours.